Carry your stuff in style with this fun flower tote. The clear plastic coating makes it easy to clean. Interior lined with blue, green, red, and black diamond pattern fabric. Measures 14-by-5.5-by-13 inches with 27-inch handles. Includes key clip. 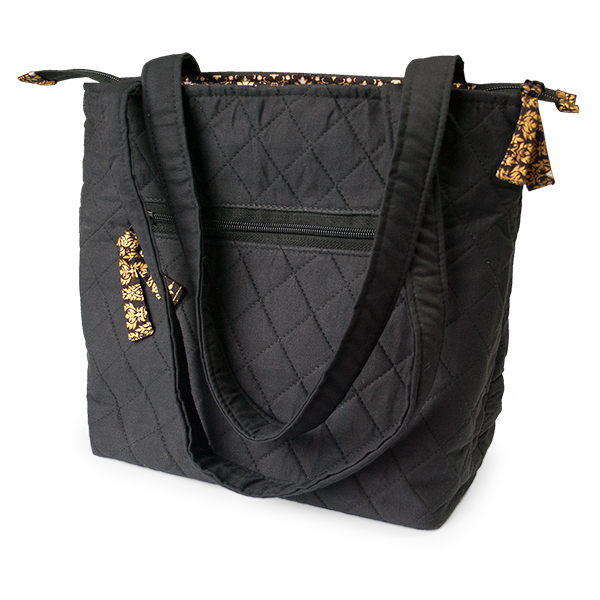 The Blossom Tote features a zipper closure. 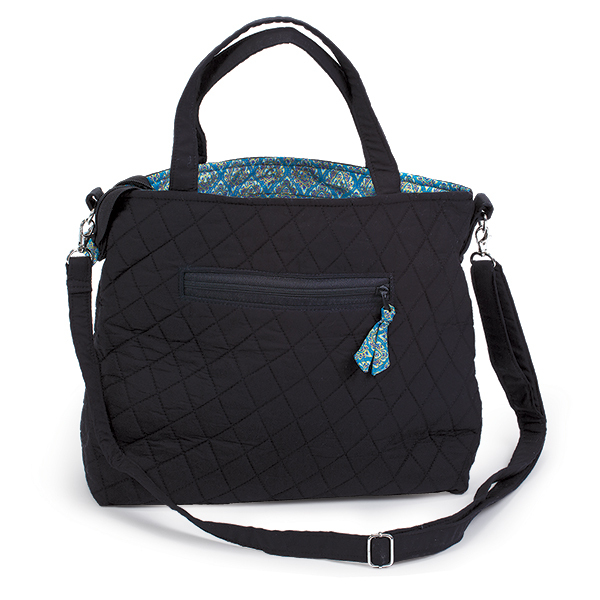 This sturdy tote is perfect for carrying everything from books to beach towels. The clear plastic coating makes it easy to clean. The Cambodian women of Kingdom Creations who make each purse no longer feel forced to sell their daughters because they now can support them. Interior lined with blue, green, red, and black diamond pattern fabric. Measures 14-by-5.5-by- 13 inches with 27-inch handles. Includes key clip.